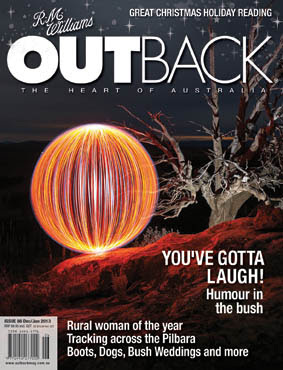 While staying with my cousin in Burra, I saw a copy (actually he had quite a few) of RM Williams OUTBACK magazine. Especially as I had already passed through, or hoped to visit, some of the places about which articles were written I found it a very interesting magazine. Clearly the target market is country folk, but I am sure many city folk would find the articles of great value. One article was about the Kelpie Man - artist Pieter Zaadstra, a man who lives now in Tasmania, but was an artist in Mt Gambier in the 1960s. In fact his father was also an artist, and they settled there from Holland around that time. I was doing nursing training at that time, and my parents moved from Adelaide to Mt Gambier, and remained there for many years after I left. My mother who also enjoyed painting and won a few art competitions, was involved in the formation of the Mt Gambier Society and I recall the Zaadstra name from those days and also I have a charcoal work by Pieter Zaadstra, but at this point I am not sure if it is Pieter senior, or junior. I think both father and son were Pieter. I told my mother (age 97 in a nursing home and showed her the article.) Her memory is pretty good some time, and on hearing the name she immediately stated that the spelling of Peter was different to what we know. Pieter. I found the website of the Kelpie Man and sent him a message, asking if he remembered my mother. He wrote back quickly and said that he did, and gave his best wishes to Mum. She was thrilled. Well worth buying! This is the cover of the December/January issue - so guess it will be on the bookshelves for a while!